It appears like ULW has been reformulated. Nick what are the differences in the new formula? Longer lasting? More durable? A change in water behavior? How do we distinguish the new version to the old version? Is the new version already on store shelves? The youtube page for the video says that it was just published---today, 8 Sep 2017. I was thinking if this was a 5 year old video, that it wouldn't necessarily mean that there will be changes in the future. Well this is nice to know. A great product just got better. I want to know as well--is the new product already in the store shelves? Michael Stoops The newest version has some additional yellow highlighting on the packaging so right away you can tell whether or not you have the newest version. Changes are basically to the polymers used in the product: we bumped up the polymer load a bit and slightly tweaked the nature of the polymers themselves to enhance both durability and protection. Looks like the New version has the "EZ Application" highlighted in yellow in the upper left corner as seen below. Where as the Older version looks to have the "Includes:" and shows the microfiber towel and foam applicator in the same spot. Before I go and buy some UPW to try out, did the paste version get an update as well? 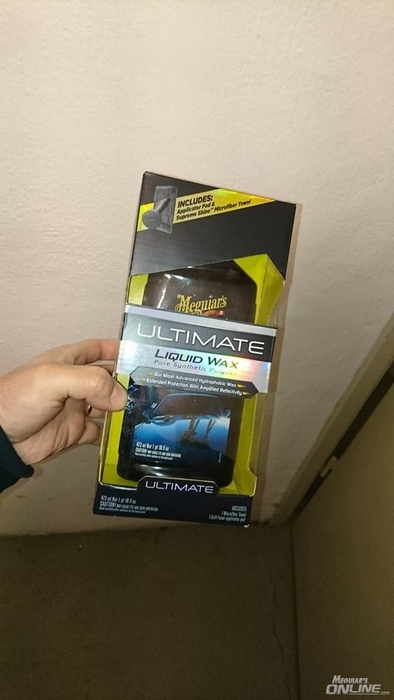 Ultimate Liquid Wax vx. NXT Liquid vs. White/Black?